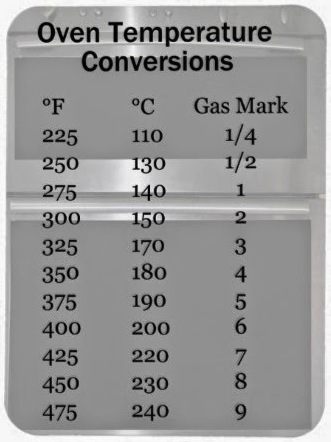 For my international visitors, I have put together the metric conversion chart below based on weights and measurements I made in my own kitchen. The results vary depending on the cup I use, the brand of flour, or the way it’s placed into the cup so I did my best after measuring many different times, always aerating the flour first. I hope this proves helpful. 25 Comments on "Metric Conversion Chart"
But I understand, I retired 10 yrs ago and still busy as ever with kids and grandkids, exercise classes, volunteering, you name it. Have fun! This chart is great. I seem to get better results if I use the scale. Thank you for putting it, and all your recipes together. ‘I can’t believe I made this’ is what I say to friends who love the breads I bring over. I always tell them to check out your blog. Several have. 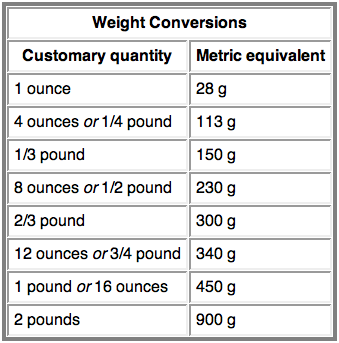 These metrics conversion charts are so helpful. I had a hard time finding something like this to go by. thank you Jenny ,you are the best!! able to convert so effortlessly thanks to you!…you’re beautiful too! I know I will use both often! not sure if you got my previous comment. love love all of your recipes. 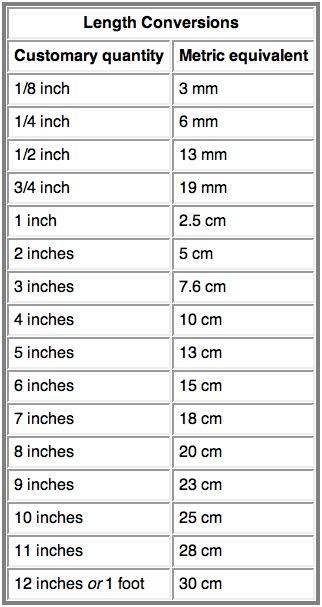 Thank you for the Metric Chart. The chart is so helpful, and is easy to use. I also want to thank you for all your Polish recipes; I had so many memories because my Mother made so many of the dishes that you are kindly sharing, but I could not remember some of the ingredients or how she made them. It is a big help, and I have followed your recipes exactly, and they come out so delicious. I never had a chance to cook or bake, but I am enjoying doing the recipes now, and your videos are such a help to know how to do everything. Hi. Thanks for the metric conversions, however it isn’t exhaustive.. eg I was trying to convert the chocolate cake (without butter) and there is no metric conversion for a 1/4 cup of cocoa in the above list. Can you please advise? It would be really helpful if you included metric weights within each recipe as weights and measures are a standard finite quantity, whereas ‘a cup of xyz’ could be anything depending on how big your cup is and how tightly you packed it. Also, cups in different countries have totally different sizes.. eg US vs Australia. On my scale 1/4 cup of powdered cocoa comes up at .80 ounces or 25-27 grams. 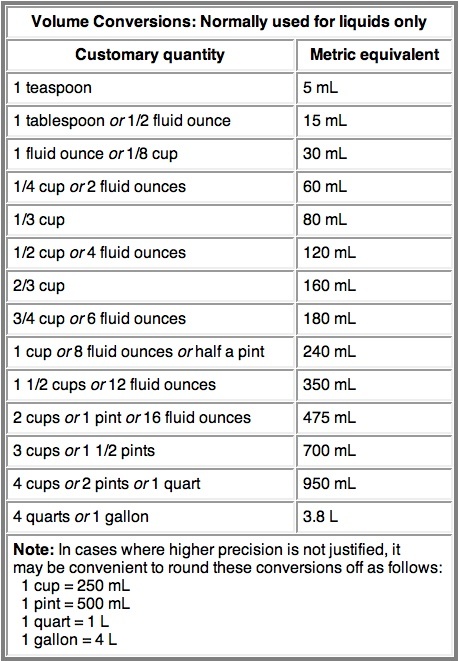 I also found a chart that says 1/4 cup is 30 grams. It’s equally complicated on my end. I hope that helps. Many thanks for your prompt response. I notice that you have a bunch of new measurements, including cocoa at the top of this version of the conversion chart… for some reason the chart I downloaded does not seem to have the new info you’ve added. One more question… towards the end you have ‘another helpful chart’. I’m assuming that this is not one you’ve created.. however you might be able to answer the question.. A section is marked “Volume (Dry)”.. however 1tsp is marked as 5mL… milli litres is a measurement for liquids, so I’m not sure how to understand this… would 5mL be the same as 5gms? Oh, BTW I found this online conversion tool which allows you to convert to different international standards according to quantities you input. Maybe you and your followers might find it convenient too. Here is the link : http://convert-to.com/conversion-of-ingredients-from-cooking-recipes . Just search for the ingredient you want to convert and click the link, and it will take you to the conversion screen for that particular ingredient. I agree it’s confusing and I don’t really need that last chart now that I added my own, so I will remove it. Thank you! I have a lot of conversion tables, but honestly when I need them I don’t have/use them. I prefer grams/oz for flour as it is easier to pour 400g of flour in a bowl that is on a digital scale, than scooping 4 cups, without much packing, and using a knife to level it. I always end with flour on the floor. I learned that 1 once is close to 30g, and that 350F=180C. My problem is with volume units for solids. The big issue is with tbsp of butter. How on earth do I measure it without melting? Isn’t it much easier to use its weight? That’s why I decided to throw away the cooking books bought in Canada and buy new ones from European Amazon. Hi. I have the same issue.. metric weights would be so much easier and more precise. Have just been trying to figure out how much a 1/4 cup of cocoa weighs. Jeny! Where have you been??! Oh, we have missed you! I’ve already read most of your recipes and have printed off five I plan to try shortly. Thank you! Just as a note, in Australia a tablespoon is 20ml – which doesn’t seem like much of a difference but can mean the doughs are more wet than expected, until I found this out I was constantly adding more flour and wondering what I’d got wrong. First of all! Thank you for all the brilliant recipies, and moments on your videos!Maybe it sound a silly beginner question, but I just go for it. Is the temperature has to be a same in the fan oven as well? If I work with 230C my stuff just turn out a bit like almost burned. What shall I cange, temperature, or time? Or what am I doing wrong? The inside is fantastic, but the outside is way too hard.I just always worried if I take it off earlier than you suggested, I will have problem with the inside. Thank you very much for everyone who has a time to help me. Take care everybody. It looks like you are referring to the no knead bread and a convection (fan assisted) oven is not needed for this recipe but you can make it with the fan. I have a feeling the pot is the problem. Convection ovens get very hot and if your pot is not thick enough, I can see how the bread could be overdone. The best result would come with using a heavy enameled cast iron Dutch oven. If that’s what you are using, you could try reducing the temperature to 220 but do not change the time. Let me know if I can help further. Thank you so much. I have already tried it yesterday evening, and I did the same. I reduced the heat and it worked very well. Fist I heated the pot to 230C, when I took it out I reduced the heat to bit less then 220C, and after I followed your procedure. Really nice bread, nice thin crispy crust in golden colour. I was was using a dutch oven(casserole dish). It seems the temperature was the only problem. To use a fan assistated oven it looks like I need to increase the heat, like with the other recipies. Thank you very much you help. One gratefull hungarian fan of yours from the UK. Just awesome!!! it’s so nice of you to help us with the metric conversions! Thanks! What is the abbreviation for Teaspoon and Tablespoon? First time writing to you. I’ve cooked the easy rib recipe and it was a hit. Your sincerity and enthusiasm are infectious and depict you very favorably. You make me smile when you exhibit genuine zeal for sharing your knowledge with us. I watched your show and am now an ardent admirer of your cooking talents and down to earth delivery. I love that you can be zany and fun while getting the job done. Kudos to you. 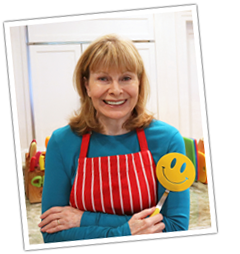 I wish you much success in continuing to share these great recipes and techniques with all of us that enjoy you.